The neutrality of this article is disputed. Relevant discussion may be found on the talk page. Please do not remove this message until the dispute is resolved. This article cites some or all of its references or sources without using hyperlinks, which may make the information harder to verify. If the sources are available online, as is often the case for newspapers and academic journals, please help improve this article by adding links to the citations. The Handgun Permit Review Board is the Maryland board agency that is designed to review Maryland State Police decisions regarding wear and carry permits. The Board was established in 1972. OPEN TO THE PUBLIC The hearing process is governed by Title 10 Subtitle 2 of the State Government Article in the Maryland Code. Section 10-212 of Title 10 states that, “[e]xcept as otherwise provided by law, a contested case hearing conducted by the Office shall be open to the public.” Therefore, [HPRB meetings] are open to the public. OPEN METINGS ACT Meetings are subject to Maryland's Open Meetings Act. Conference Room. Determined observers were unlawfully refused access to observe. in observing that the meeting was cancelled. Press reports indicate the meeting facility may have been closed to treat the building for Bed Bugs. Allegations have surfaced accusing a quorum of Board members of holding a secret meeting with Maryland State Police anyway, in violation of Maryland's Open Meetings Act. The results table below was received from Public Information Act in July 2017. The Board currently meets the 1st and 3rd Tuesdays of each month at 6:00 p.m. The Board states that they may meet on the 5th Tuesday of a month, but any such meetings will be announced on their website. The Board further advises that a part or all of any meeting of the Handgun Permit Review Board may be conducted in closed session pursuant to law. The Board often takes a summer recess, despite the fact that some appeals have languished for a year or more without a hearing, and Writs of Mandamus (a writ or order that is issued by Circuit Court that commands the Handgun Permit Review Board to do that which is required by law), are pending. A DPSCS response to a Maryland Pubic Information Act Request submitted in September 2013 for "Any documents detailing the Maryland Handgun Permit Review Board’s Budget & expenditures for the last few years", was somewhat non-responsive. The reply was, "The cost of the compensation of the Board members, as well as the overtime paid to the Department staff member paid to work during these evening hearings, totals approximately $15,000 a year." An 2014 follow-up inquiry to the Department of Legislative Services was more helpful. "FY 2012: the Board Chairman was paid $141.88 per meeting; 3 board members were paid $119.88 per meeting; and one board member was paid $109.00 per meeting. FY 2013: the Board Chairman was paid $142.00 per meeting; 3 board members were paid $120.00 per meeting; and one board member was paid $109.00 per meeting. FY 2014 the Board Chairman is paid $147.00 per meeting; 3 board members are paid $124.00 per meeting; and one board member is paid $116.00 per meeting. As to any published budget or projected budget reports, there doesn’t seem to be any formal reporting by the Department of Legislative Services or the Department of Public Safety and Correctional Services on this particular Board." For years, and as of this publication, the Board's official website is poorly maintained, contains outdated information, and numerous bad links, including broken links to the MSP Handgun Permit application and Firearms Safety Training. Until June of 2015, the Board met in the conference room, inside a non-publicly accessible area inside the Maryland State Police Barracks “P”, located at 6800 Aviation Blvd., Glen Burnie, MD 21061. Knowledgeable visitors had to ask the duty officer to be "buzzed in", in violation of Maryland's Open Meetings Act. From June of 2015 until July 2016, the HPRB met at 6776 Reisterstown Road (West side of Reisterstown Road Plaza Mall) in the Department of Public Safety & Correctional Services Central Hiring Unit Conference Room (first floor) Baltimore, MD, 21215. Further, a former MSP Licensing Division Commander points out, "nothing requires an applicant to show that his level of threat and/or danger needs to be GREATER than an ordinary citizen. Rather, in the decision of Snowden v. State of Maryland, the court determined that an individual must have a need for a “reasonable precaution against apprehended danger.” And that danger must be more than one’s PERSONAL anxiety or fear. It does not say that anxiety or fear needs to be GREATER than another citizen’s fear." In 2015 a Writ of Mandamus was filed in Maryland's Circuit Court, charging the Board with failing to hear a case within the 90 days required by statute. The Plaintiff, claimed his appeal had languished for more than a year, among other negligent acts. ↑ "Handgun Permit Review Board". 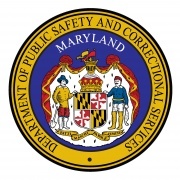 Maryland Department of Public Safety and Correctional Services. Retrieved November 17, 2017. ↑ Jester, Michael (July 11, 2017). "HPRB Statistics 2015-2016". MD Shooters. Retrieved November 17, 2017. This page was last modified on 17 November 2017, at 23:13.